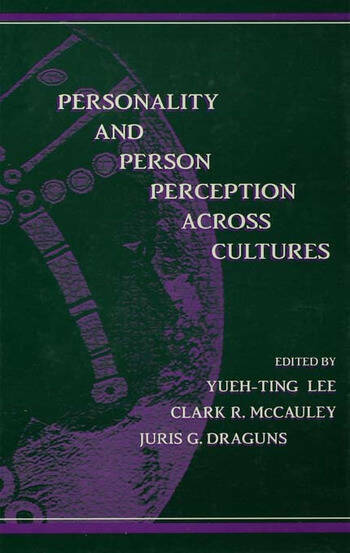 "Lee, McCauley, and Draguns add substantially to the recent revival of interest in the impact of culture on personality....Their volume blends the theoretical and practical, and several chapters are relevant for business--an important feature in this age of multinational companies." "The book makes for illuminating reading....a valuable resource for cross-cultural researchers and those hoping to stay abreast of work in this reawakening field. It should serve as a rallying point for students of culture and personality and a sign of the vitality of cross-cultural personality research. The truly international representation of contributors and cultures is admirable, as is the combination of research on personality with investigations of lay perceptions and theories of personality. The editors are to be commended for producing an intriguing snapshot of a field in motion."